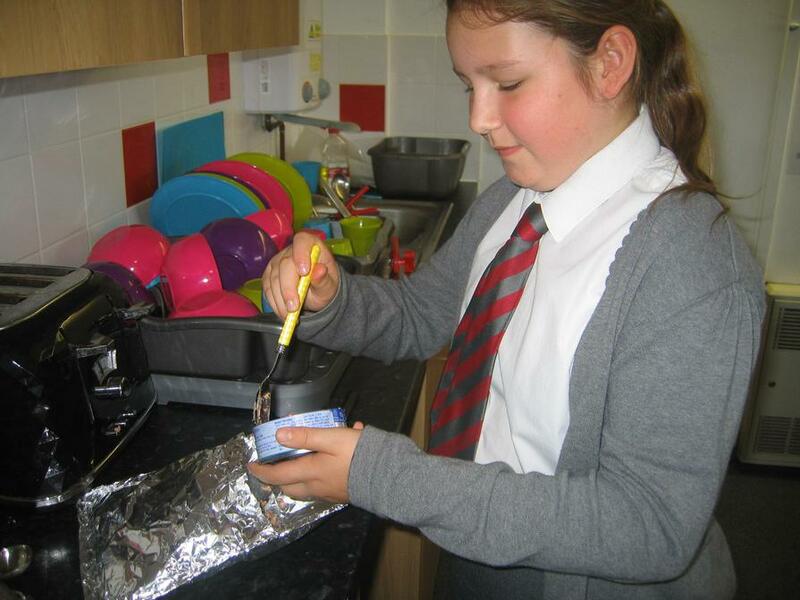 This term we are doing our food technology topic. 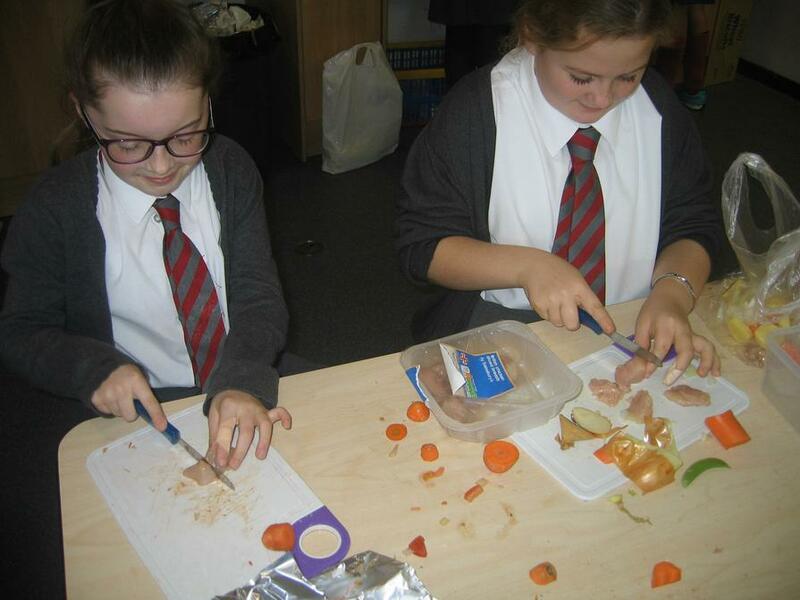 We have revised the 'eat-well plate and learned about protein, why it is an important part of our diet and about different sources. 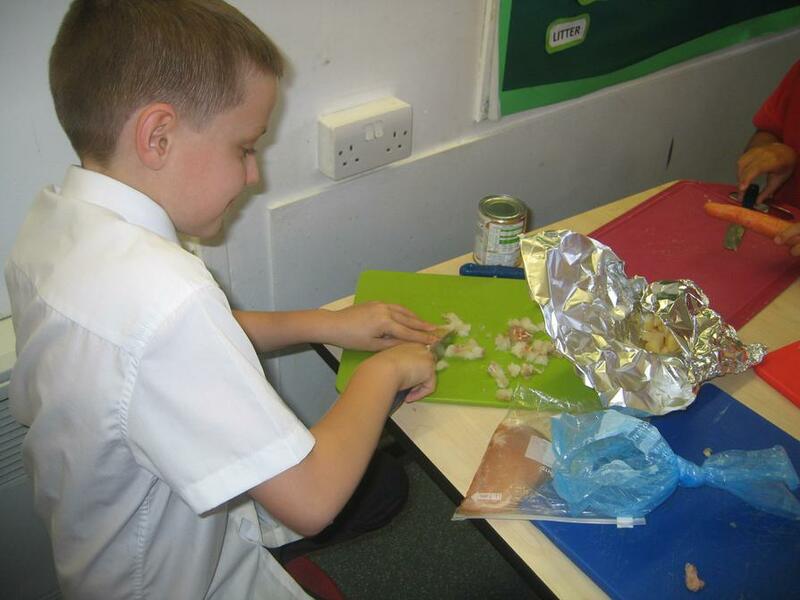 We are looking forward to learning about seasonal foods and then using all this knowledge to design our own one-pot meal, which we will be cooking on charcoal. 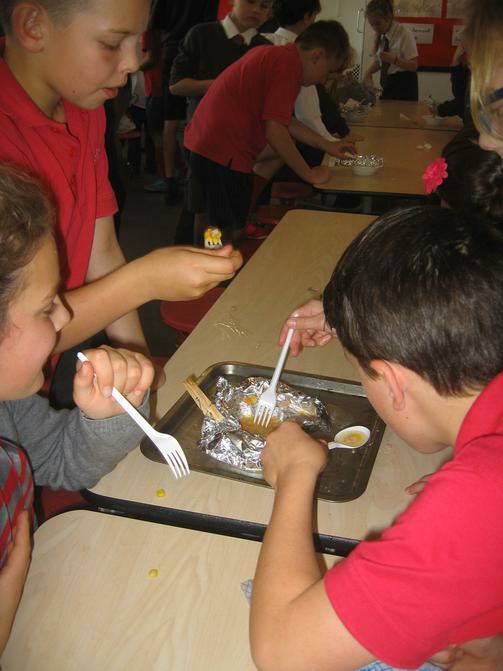 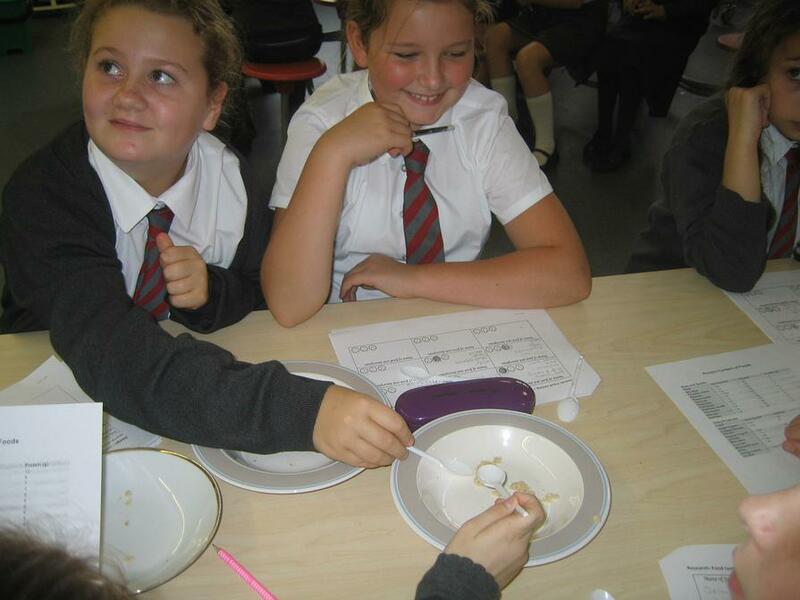 Below are a few pictures of the lesson in which we tasted different foods that are good sources of protein. 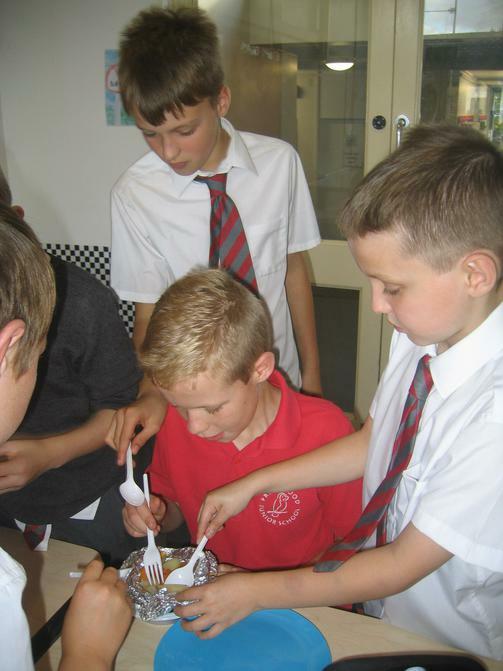 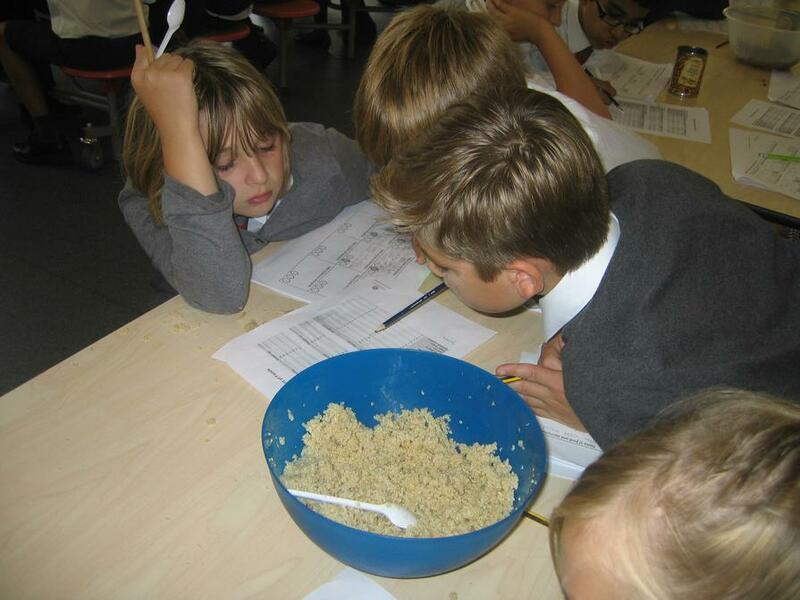 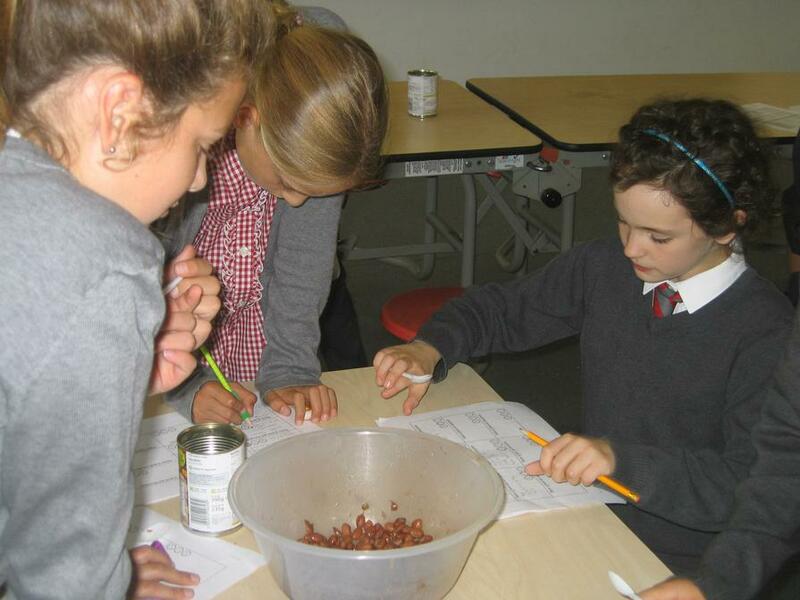 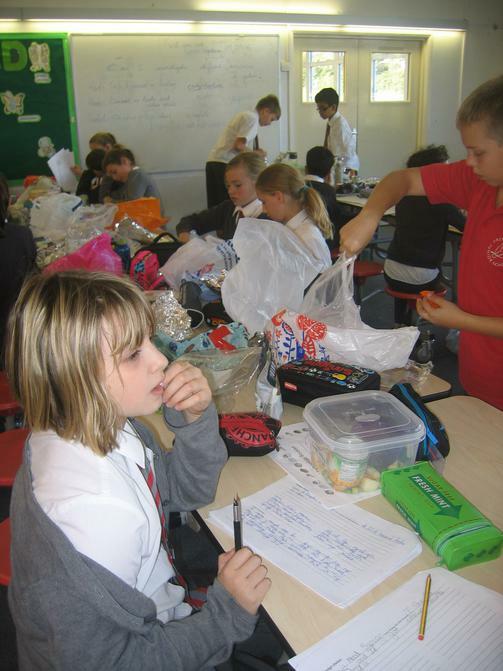 On the 17th October, we were all very excited to be putting our research and recipes to the test. 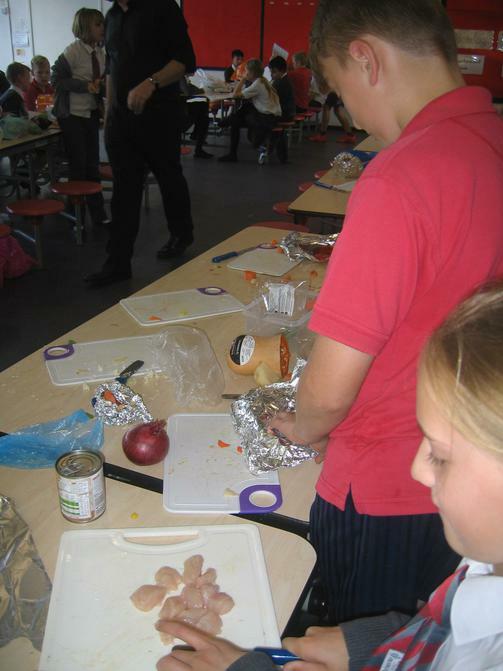 After much chopping of vegetables, and slicing of meat (or vegetarian alternatives) we had hoped to watch our one-pot meals cook away in the coals of the BBQs. 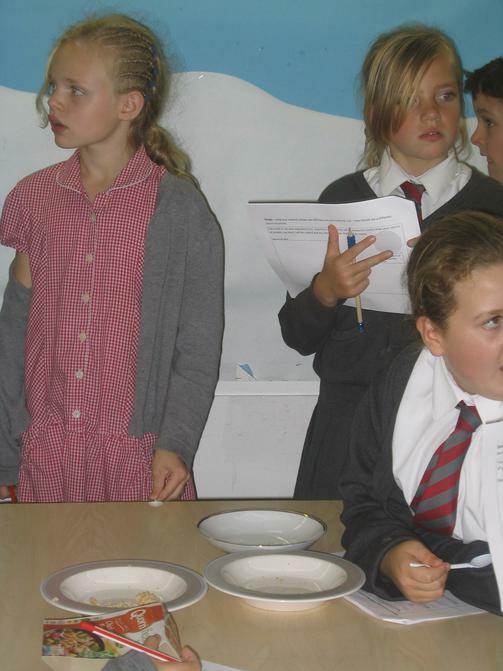 Unfortunately, they had other ideas and despite the attentions of Mrs Eales, Mr Freeman, and Mr and Mrs Greene they were having none of it! 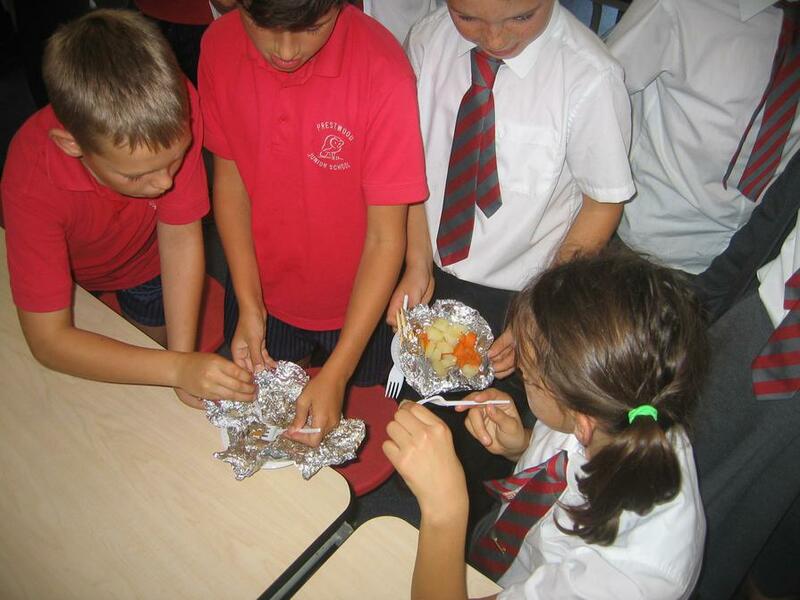 As a last resort, we managed to cook a few meals in the oven - all agreed these were very tasty. 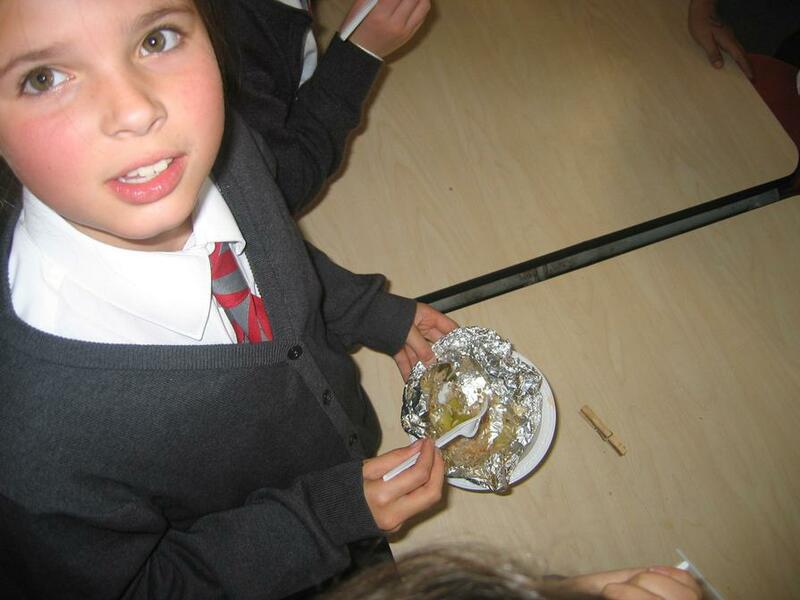 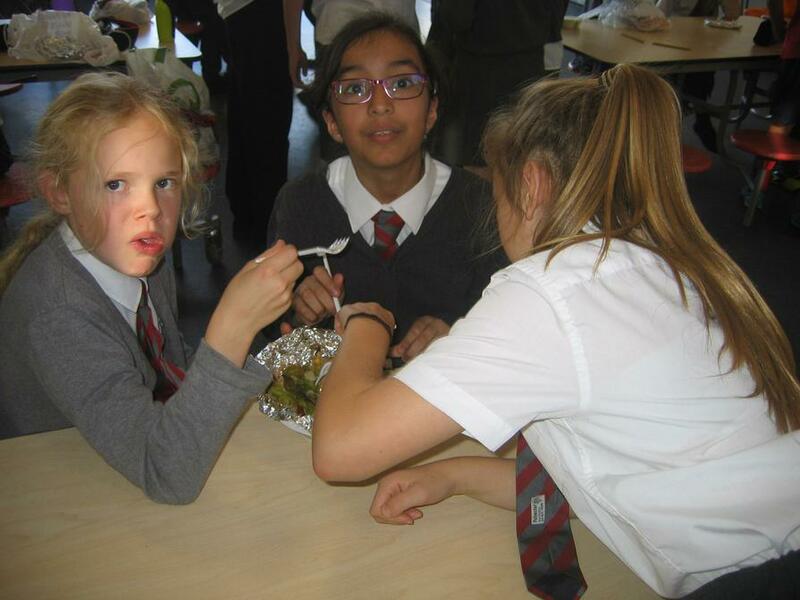 Many of the children cooked their meals at home and reported they too tasted good. 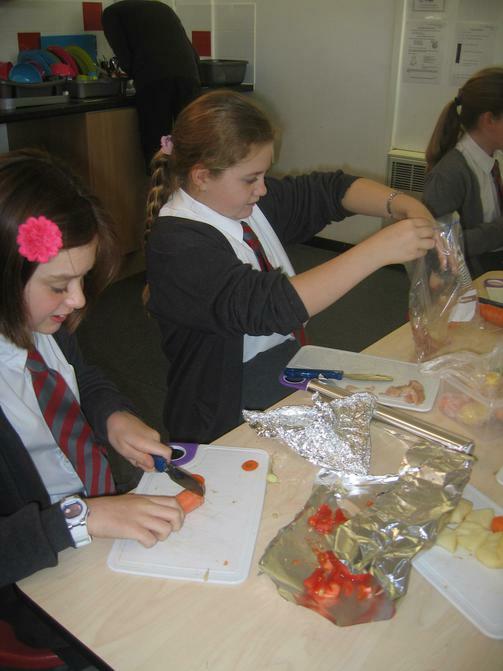 Next year we'll be in extra early to start up the BBQs at the crack of dawn!